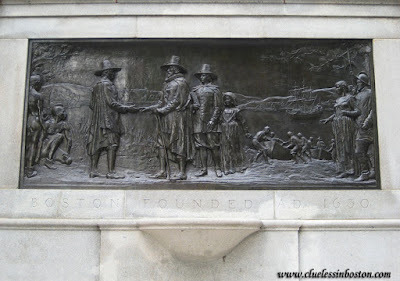 Bas relief of the founding of Boston in the Boston Common. Very distinguished. I wonder how many people 'see' it despite walking by it daily.